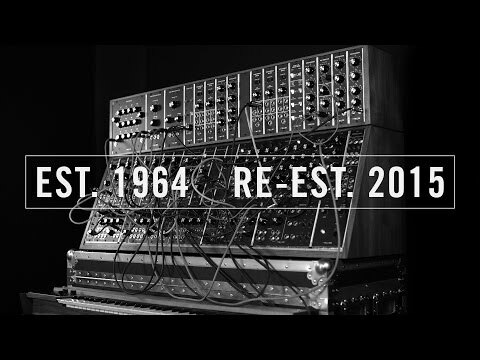 Bound to cause a stir with pretty much any release news, even at NAMM 2015 with the huge amounts of gear being announced – Moog have really stepped it up a gear this year with the re-release of 3 of their legendary large-format modular synthesizers from the golden era of the ‘70s. Years of research and development have gone into the limited production of the System 55, System 35 and Model 15 synths. The Moog System 55 sits atop of these modular units, a total of 36 hand built modules plus the inclusion of the renowned 960 sequential controller, result in an awe inspiring recreation, delivering ultimate sonic possibilities, vast and complex rhythmic potential and inspiration in the shed load. 2 hand finished solid walnut cabinets add the finishing touches to this beautiful machine. The Moog System 35 offers 5 oscillators, 22 handmade fully anolog modules and solid walnut cabinet construction. Again the sonic range and potential of this unit is daunting, but incredibly exciting. The Moog Model 15 is perhaps a the road crews best friend, a much more compact unit featuring tolex covered cabinet construction ideal for life on the road. A super-fast work flow, with the 907 Fixed Filter Bank section can be configured to personal choice and is bound to be an attractive prospective for many touring musicians. The meticulous attention to such a faithful reproduction is just as impressive as the sheer visual glory these three analog beasts provoke, and although given the price tag these are probably going to be admired by far more than they are going to be played by, you have got to hand it to Moog for such a dedication to heritage. All units are hand built and crafted, hand soldered and hand fitted, so you really would be touching something utterly unique if you ever managed to get your hands on one!